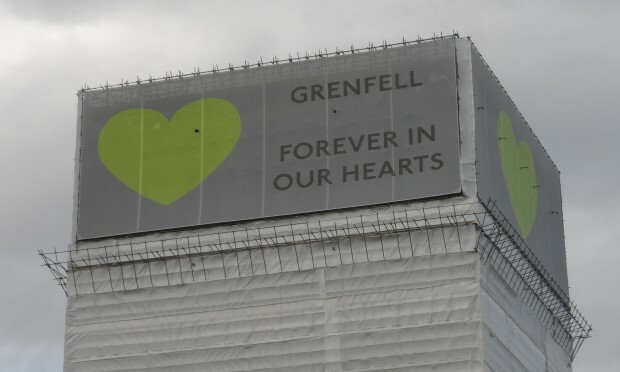 Grenfell Tower, pictured a few days after the one-year anniversary of the tragedy. Hackney Council has revealed an uptick in the progress of fire safety work recommended by assessors in the aftermath of the Grenfell Tower fire. Following the tragedy on 14 June 2017, which killed 77 people, Mayor Philip Glanville ordered over 1,800 new fire risk assessments (FRAs) be carried out – covering all of Hackney’s housing. In February 2018, the Citizen reported that those assessments flagged up nearly 3,000 outstanding high priority issues. Last November, the council revealed only 37 per cent of these had been completed, along with 32.5 per cent of medium priority works. But in an update to the Living in Hackney scrutiny commission this week, the Town Hall’s group director of housing Kim Wright said 80 per cent of high priority works have now been done – describing recent progress as “excellent”. But 21 months on from Grenfell, just under half of medium priority issues still need to be resolved. Wright said she expects all recommendations emanating from the 2017/18 FRAs to be completed by March next year. Cllr Sharon Patrick told the meeting: “Since Grenfell, the council has been highly vigilant regarding fire regulations – in order to avoid another tragedy. Wright said the council is focusing efforts around fire drill replacements, installing dry rises, ensuring that communal areas are clear of combustibles and setting up fire information boxes. It is also putting up fire action notices and fitting self-closers on fire hoses, as recommended by the London Fire Brigade. Wright explained that the council is now moving on to the second phase of the post-Grenfell FRA programme, which involves surveying 10 per cent of the properties covered by each assessment to check on the works. Wright added that the council was “looking at” providing the LFB with the addresses of vulnerable residents so it has the information to hand should it arrive at an emergency in the borough. She said FRAs for 2018/19 will be posted on the council’s website in the near future. The Town Hall’s housing services chief Cllr Clayeon McKenzie raised “doubts” over predicting how much the borough’s fire safety work will cost. The council has committed to replacing 17,000 front doors with fire-safe models over the next three years, and Mckenzie said problems thrown up by surveys were “beyond its control”. Engineers working on Bridport House recently raised concerns over the cavity wall insulation, leading to residents being told by the council to evacuate the building in the event of a fire rather than staying put. Cllr McKenzie told the scrutiny commission: “All the works done have come out of our existing funds. We have not had a single penny from central government to fund the works so far – obviously that is going to have an impact on other commitments. “We could not have anticipated what happened at Bridport House.